Today Hurtigruten signs a contract with ice.net for mobile broadband solutions and the supply of data communications for their fleet of ships. This is according to a press release from ice.net (Norwegian text). 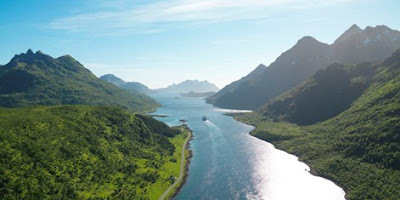 With this cooperation the online coverage provided by Hurtigruten along the Norwegian coast will be enhanced to nearly 100 percent. Good news for Hurtigruten's passengers! If you were to travel with Hurtigruten, how important is Internet access to you?